Michele Margaret Brouilette Hill of Brentwood passed away on July 13, after over two years of a courageous battle with breast cancer. Michele was born on July 11, 1942, on Chicago’s south side. Prior to entering high school, she and her parents moved to Sterling, Illinois. Michele graduated from Newman Central Catholic High School in 1960. Michele is survived by her husband, Stephen, with whom she shared nearly 55 years of wonderful marriage. 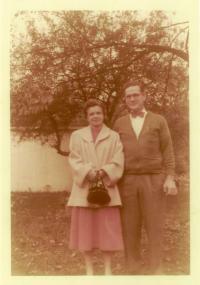 They first met in their hometown during the summer of 1962. She is also survived by her children: Stephen and his two children, Emily and Gavin; son, Christian, his wife, Sally, and their three children, Jack, Sophie and Nate; and daughter, Megan, her husband, Matt, and their three children, Mathew, Phoebe and Ethan. She was predeceased by her mother, father and three brothers. A memorial service will be held at St. Matthews Church in Walnut Creek, date and time pending. In lieu of flowers contributions may be made to Hospice of the East Bay in Pleasanton. [S1978] Ancestry.com Family Trees, online www.ancestry.com, Michele Margaret Brouilette, Ancestry.com. Family Tree of Megan Hill Trowbridge. Accessed February 27, 2019. [S2760] The Press, July 18, 2018, Online: https://www.thepress.net/obituaries/…, Accessed February 27, 2019. [S1676] Find A Grave, online http://findagrave.com, Margaret T. Brouilette, died 1981, Calvary Cemetery, Sterling, Illinois, Memorial ID 113598392, created by Mr (heart) B on 9 Jul 2013; maintained by: LOU member #47653322. Accessed February 27, 2019. [S1676] Find A Grave, online http://findagrave.com, Noe J. Brouilette, died 1972, Calvary Cemetery, Sterling, Illinois, Memorial ID 113598373, created by Mr (heart) B on 9 Jul 2013; maintained by: LOU member #47653322. Accessed February 27, 2019. [S1406] Chicago Tribune, Sept 13 1967, page C14, ProQuest Historical Newspapers, Chicago Tribune (1849-1987), accessed June 1, 2011. 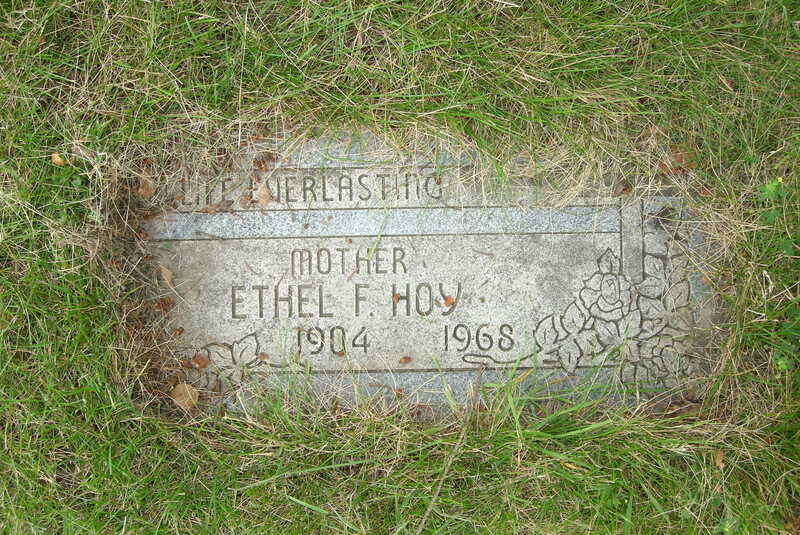 [S2171] Ethel Hoy Grave marker, Queen of Heaven Cemetery, Hillside, Cook County, Illinois, USA. [S1676] Find A Grave, online http://findagrave.com, Edward P. Sullivan memorial #99211342 created by Mike Sullivan, 19 Oct 2012. 80, died Thursday, June 12, 1997, in Pace, Fla.
A former resident of Arlington Heights, he and his wife, the late Marcella (Nee Leibach) founded the Buckeridge Door Company in 1948. They were members of the Waukegan Power Squadron, Waukegan Yacht Club and Marathon Yacht Club. They retired in 1973 and traveled the United States waterways until settling down in Key Colony Beach, Fla. Bob and Marcella were married for 58 years until she preceded him in death on May 27, 1995. He is survived by his children, Charles (Sharon) Buckeridge of Libertyville, Patricia Powell of Pace, Fla. and Stephen Buckeridge of Lakewood, Colo; his grandchildren, Michael Buckeridge of Vernon Hills, Lynn (David) Byler of Flint, Mich., Kate (John) King of Mundelein, Tim (Lisa) Powell of Milton, Fla. and Beth Powell of Pensacola, Fla; and his great-grandchildren, Michael Byler, Adam King and Sarah Powell. [S2315] Kenneth J. Leibach, "Connor connection," e-mail to Elaine M Beaudoin, April 19, 2016. [S1238] Florida Death Index, 1877-1998, online ancestry.com, Robert William Buckeridge, Ancestry.com, accessed April 19, 2016. [S2316] Daily Herald, June 19, 1997, GenealogyBank.com, accessed April 19, 2016. Death*: He died circa 16 March 1983 at Skokie, Cook County, Illinois, USA. [S709] 1930 US Census, Illinois, Cook County, Niles, Washington, DC, ED 2232, Sheet 16A. [S725] Chicago Tribune, October 23, 1955, Page F3. [S749] Chicago Tribune, December 15, 1953, Page B9, Accessed November 7, 2006, ProQuest, Chicago Tribune Historical Archives. [S748] 1900 US Census, Illinois, Cook County, Evanston, Washington, DC, ED 1159, Page 28B, Accessed November 7, 2006, Ancestry.com. [S743] Chicago Tribune, March 17, 1983, Page A16, Accessed November 6, 2006; ProQuest, Chicago Tribune Historical Archives. [S627] Illinois Statewide Marriage Index 1763-1900, online www.cyberdriveillinois.com/GenealogyMWeb/marrsrch.html, Certificate # 00174969; Accessed November 7, 2006. [S747] Illinois Statewide Death Index (1916-1950), online http://www.sos.state.il.us/GenealogyMWeb/idphdeathsrch.html, Certificate # 0009498; filed December 4, 1917. [S1526] Robert J. Burke Funeral Announcement, online http://www.habenfuneral.com/, Accessed on line April 15, 2012. Services: Funeral Wednesday, 10:15 a.m. from the funeral home for Mass, 10:30 a.m. at St. Peter Catholic Church, Skokie. Interment St. Peter Cemetery. Visitation: Visitation Tuesday, 3-9 p.m. at Haben Funeral Home & Crematory, 8057 Niles Center Rd., Skokie. ROBERT J. BURKE, age 82, of Skokie, died April 14, 2012 at the Midwest Palliative & Hospice CareCenter, Skokie. He was born June 23, 1929 in Evasnton, IL to James and Mary Hohs Burke. He married Joyce L. Haben on August 6, 1955 in Skokie, IL. He served in the US Army during the Korean War. He retired from the Skokie Fire Department as a Lieutenant after serving twenty-six years. He was a lifelong member of St. Peter Catholic Parish in Skokie. Beloved husband of Joyce, nee Haben; Dear father of Patrick (Amy), Michael (Sue), James (Michele), Jerome (Colleen) and Thomas (Amy); Loving grandfather of Joseph, Edward, Matthew, Daniel, Kelly, Robert, Christopher, Megan, Abigail, Connor, Ashley and the late William; Fond brother of the late Jerome P.
Memorials: Memorial contributions may be made to St. Peter Catholic Church, 8116 Niles Center Rd., Skokie, IL, 60077 or to the Midwest Palliative and Hospice CareCenter, 2050 Claire Ct., Glenview, IL, 60025. Cemetery: St. Peter Catholic Cemetery. Location: Haben Funeral Home & Crematory. [S708] Jerome and Colleen McIntyre Burke, Wedding Program, May 27, 2000 Elaine McIntyre Beaudoin, personal files.